WHEN: Sunday, July 13th ~ noon to 6 p.m. Enjoy food samples from Baltimore’s finest restaurants and culinary specialists such as Ciao Bella Ristorante, The Classic Catering People, Ixia Restaurant, LaTasca, Lebanese Taverna, Lucy's Irish Pub & Restaurant, Sotta Sopra, Pisce's, Red Maple, Vin, Water for Chocolate Catering LLC, A. Kirchmayr Chocolatier, Cabot Creamery Cooperative, Cake Love, Charles Street Gourmet, *Dara Bunjon (COME SEE ME), Lindt Chocolate, and Piacci Cheese. Taste delicious and rare wines from regions across the world and speak to winemakers. Select wines will be available for sale on site. Attend cooking demonstrations and wine seminars. Participating chefs include *Martha Hall Foose (Viking), Warren Brown (CakeLove), Jerry Edwards (Chef’s Expressions), Benjamin Erjavec (Oceanaire), Michaele Weissman (Food Journalist), Michael Costa (Pazo), Will Koch (Tremont), Fabio Mura (Blue Sea Grill), and Kevin Miller (Ixia). Wine experts include Ted Allen (TV Personality and Cookbook Author), Monyka Berrocosa, Sharon Charny, CBP, CTC (Regional Director, National Accounts, Charmer Sunbelt Group), Jerry Edwards (Chef’s Expressions), Jerry Pellegrino (Corks), Laurie Forster (The Wine Coach®), Tim Hanni MW (Napa Seasoning Company), and Paul Lukacs (Wine Columnist, The Washington Times & Wine Review Online; Wine Editor, Saveur Magazine). 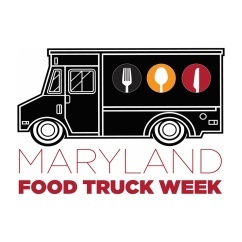 Visit http://www.baltimorechefsandwine.org/ to purchase your tickets. General Admission Tickets are just $55 and include access to all wine seminars and chefs demonstrations, and food and wine tastings. 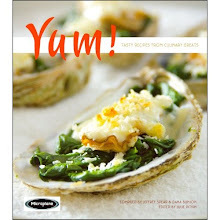 * I'll be there sampling recipes from my co-compiled cookbook YUM! Tasty Recipes from Culinary Greats. The book will be for sale through Barnes & Noble and profits from the royalties will go to the National Kidney Foundation via Microplane. 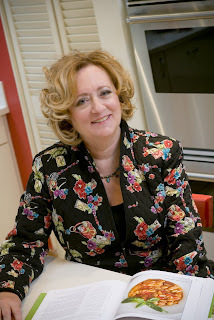 Don't miss Martha Hall Foose's cooking demonstration and picking up a copy of her new cookbook: Screen Doors and Sweet Tea - Recipes and Tales from a Southern Cook. The first thing I did was read all her stories about her home, the Mississippi Delta. I enjoyed her Southern sensibilities and humor. Stomp Over to Great Grapes and Become Uncorked!